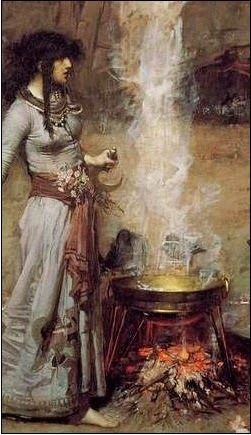 Keeper of the Cauldron. : Cooking with Flair. As someone who's done all the standard investment reading with due diligence (Tim Hale backed up by Monevator), I have come to the conclusion that I need to explain to myself why I can't just follow the standard recipe for success (low cost passive trackers) but keep on being tempted to add a pince of this and a little of that. Justifying this to myself is necessary because rationality dictates that I should sell up the large holding I have in my CIS actively managed fund (when it does arrives in II - 16 weeks and counting!!) and redistribute it across a balanced range of passive funds. The statistics are well researched and pretty conclusive. Active funds in general do not beat the market and any particular "top performing" active fund rarely beats the market consistently. Popular fund managers may well outperform for some of the time but there is no guarantee that they will continue to do so and the extra expense of buying active eats away at any extra profit anyway. Case proved. Instead what I will probably do is to combine shifting a fair amount into the trackers I have already bought (Emerging Markets, Europe and FTSE 250) with putting more money into my Investment Trusts (Heritage - Specialist small IT and comms, Shin Nippon and Aberdeen Small Asian) and also into Fundsmith. In addition I'm likely to be keeping an eye out for likely vehicles for a couple of areas in which I feel under-invested - Europe and the USA (although admittedly I'll probably do this particular one via a tracker). Whatever I do end up doing I know for a fact that I won't be playing it completely by the book. There is obviously a contradiction here. I understand that If I want to make a loaf of bread I had better follow the recipe. Put in too much salt and it won't rise, forget the yeast and you'll be left with a leaden biscuit. Once mixed, leave the whole thing to rise and do not disturb in the meantime. There is no room for "personalisation". Using passive trackers to make an investment "loaf" follows the same principles. Why do I think that I know better, or worse still, don't seem to care? I think that most of the tension between what I know I should do and what I actually find myself doing comes from the fact that I believe I'm different from the norm. (Yes, don't we all.) This isn't because I think I'm cleverer, have some gift to pick the right funds or time the market, but I'm different because I have a DB pension waiting in the wings. My staple income for my future, my "daily bread" is already stacked up in the freezer ready for me to take out when I need it. Building a pension fund is not something you would want to mess with and luckily for me I don't get the opportunity to, as my LGPS pension is managed for me and the amount I will receive is guaranteed. This doesn't mean that I have given myself carte blanch to be reckless. What I have done is allow myself to be "interested". The whole process will only work for me if I feel like I am having some sort of personal involvement rather than simply following a completely pre-set formula for success which involves throwing all the ingredients into the mix and waiting. Making bread is a particular type of "cooking" - it has an in-built proving time. Things happen slowly, with time as one of the ingredients. This is also true of passive investing. What I'm doing is more like making a spicy stew to suit my own particular taste buds that will go along with that bread. So I have allowed myself to try a few ingredients of my own along with the staples, being aware of what I am doing and monitoring closely how things are going, tasting all the time and adjusting as required. I'm happy with that. A very interesting post and I totally understand where you are coming from. In particular the fact that you believe you're different from the 'norm' (I feel the same), although it hadn't occurred to me that it could be because I have the safety of a DB pension too. I don't mind following the herd (eg with the Neil Woodford investment) but I will always do something slightly different, not to stand out or because I know better or anything, but because by doing it differently, it's something I've chosen to do myself. Like you, I don't want to follow exactly the same formula as everyone else. It's possible that doing things my way I won't make as much money, especially in light of all that research out there about the success of passive funds. Of course, as all the experts say, past performance isn't a guide to future returns so who knows and it's not as if I'm rejecting passive funds totally. Anyway, good plan re topping up your trackers and your investment trusts. Good luck with your recipe for success! Thanks weenie. I think you hit the nail on the head when you say that "choosing" to invest in a particular way is important, it's making decisions that engages us in the whole process. Maybe this isn't entirely rational but then not a lot of human activity is. I think that the fact that you have done the research you obviously have, means you are less likely to be a totally passive investor, and would like to have some input into how your money is invested. As I have been interested since my teens in investing, but never really had the spare money to actually invest (was too much of the consumer personality until the last few years), I don't want to leave it up to someone else to manage my money. I think it is also the fact that you probably have a reasonable level of intelligence (at least), and therefore are not likely to completely go reckless and mess it up. It is interesting to see how different people have a different approach (I am more into direct shares, you look to be generally using funds), but I am aware that my way is not the only way, and is certainly not going to be followed by everyone. May I ask if people you work with are aware of you properly planning for your retirement as I am amazed at how many people I talk to who have no idea how they are going to fund their retirement (and I work in a profession that deals with money and spreadsheets all day - not banking or finance though).